Since I immigrated to Canada over 15 years ago, I’ve visited Niagara Falls (also known as the Horseshoe Falls) many times. In fact, I lived in St. Catherines, Ontario for a couple of years which is about 15 to 20 minutes drive to Niagara Falls. 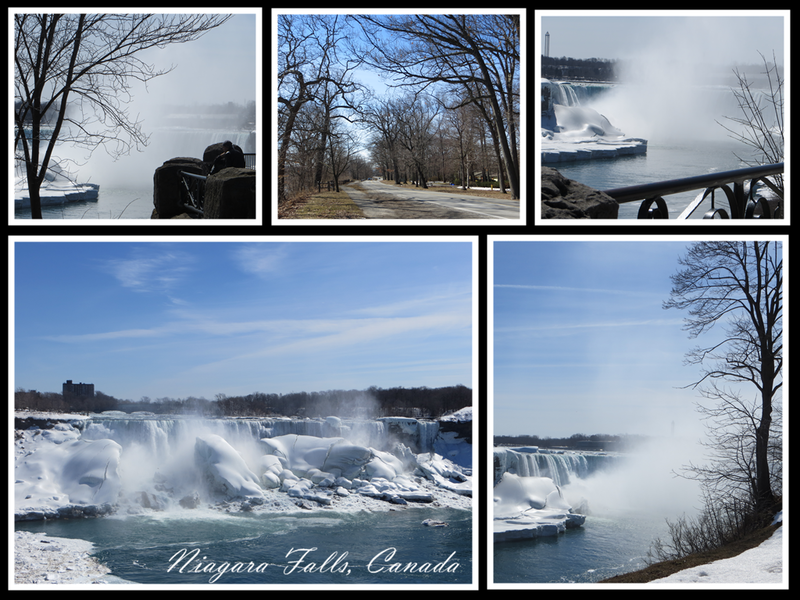 Anyway, lest I digress – my point is that I’ve visited the Falls so many times that I’ve lost count. Needless to say, every time I visited the Horseshoe Falls, I’ve always enjoyed my visit and it’s never been the same as my prior visits. One of the reasons being that every season you go to the Falls, it’s different. Every season, be it Spring, Summer, Fall, and Winter, you will have a different experience. My most recent visit was during winter 2015 with a few of my friends. We went on a week day so it wasn’t too crowded and spent all day there. There is no way, you will be able to cover everything in one day, unless you are the Flash, in terms of sight-seeing and other local attractions. Therefore, it’s important to plan your visit ahead of time. During my last visit, we spent some time at the waterfalls and experienced nature’s beauty. And the rest of the time at Clifton Hill where we had lunch and then played a couple of bowling games at the Great Canadian Midway. Maid of the Mist: if you are adventurous and want to get really close to the waterfalls, then you should definitely take the “Maid of the Mist” boat tours. These 30-minute boat tours operate between April and October every year and let you experience the American Falls and the Horseshow Falls like none other. You will get wet, but they do provide a disposable poncho (raincoat). Journey Behind the Falls: is exactly what it sounds like. During the months of spring and summer, visitors can experience the Falls from behind through descending elevators and via the Upper and Lower observation decks. This Behind the Falls tour last around 45 minutes and you will also receive a disposable poncho to keep you dry. Niagara Falls Helicopter Ride: gives you an breathtaking aerial tour of some beautiful sections of the Niagara region. This aerial tour gives you a unique opportunity to experience the Falls from the sky and take amazing pictures. It covers areas like the Falls, the whirlpool area and rapids, the Rainbow bridge, scenic beauty of Queen Victoria Park, and the Niagara river, to name a few. You can get a special discounted rate for the helicopter ride if you book your hotel accommodation at the Clifton Hill Comfort Inn. Skylon Tower: located at the heart of Niagara Falls is an observation tower towering 520 feet from street level (775 feet from the bottom of the Falls). The Skylon tower has three Yellow Bug elevators on the outside of the tower that take 52 seconds to get to the top of the tower. There is an inner and outer observation deck a top the tower allowing visitors the highest vantage point in Niagara Falls to experience the beauty of the Falls and thousands of square miles of cityscape. The Skylon Tower has a revolving dining restaurant as well as a casual Summit Suite Buffet and much more. Hornblower Cruises: as the name suggests, these are boat cruises. They are similar to the “Maid of the Mist” boat tour, but different at the same time. There are different cruises options: Voyage to the Falls, Falls Illumination Cruise, Falls Fireworks Cruise, and Sunset Cocktail Cruise. These boat 30 to 45 minute boat cruises allow you to have an immersive experience of the Falls in a very unique manner. You can check all the Hornblower Cruise Options. Marineland: is great for families with kids as well as thrill-seekers. You can experience exciting rides like the world’s tallest triple tower, the Sky Screamer, Dragon Mountain roller coaster, as well as many other amusement park rides. You can attend a variety of live shows and experience trained dolphins, walruses and sea lions perform fun and entertaining tricks. You get an opportunity to interact with some of the fascinating creatures of the oceans. You can also get an up-close look at Beluga whales and Killer whales at the Arctic Cove and the Friendship Cove. You can buy individual tickets to Clifton Hill attractions, but if you buy the Clifton Hill FUN PASS, you can save up to 50% on many popular local attractions. You can also check these Niagara Falls Attraction Coupons to save some money. Children ages 12 and under get a special discounted price on the Clifton Hill FUN PASS as well as individual tickets. Check my blog post, on Clifton Hill Attractions and Entertainment.